Maple Valley Truss • IX Publishing, Inc. 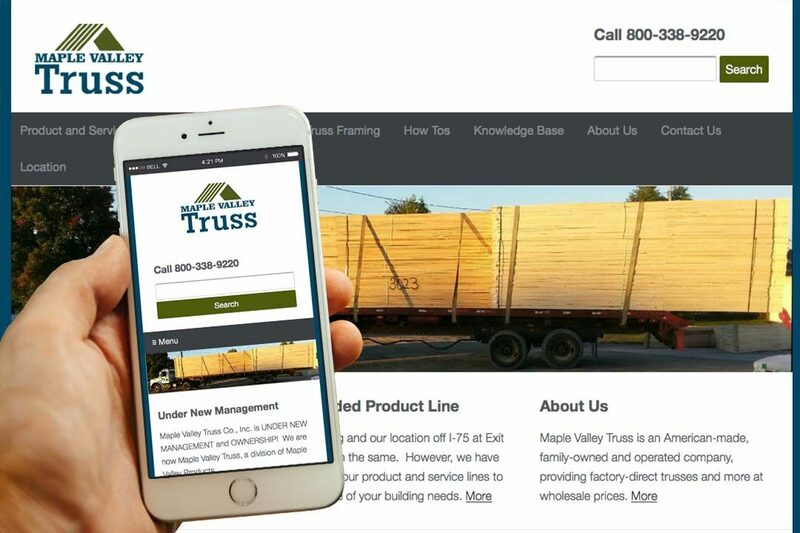 Maple Valley Truss offers trusses direct from the factory at wholesale prices. American made, family owned and operated, the company provides a wealth of products and services. Contact them for engineered trusses, pole barn metal, roof trusses, or wall panels—or if you need help building a new garage. They also offer general design services. Customers are invited to visit their showroom and production plant.